Most of the things that I had planned for Bulgaria are already behind me and I will regularly be here again. 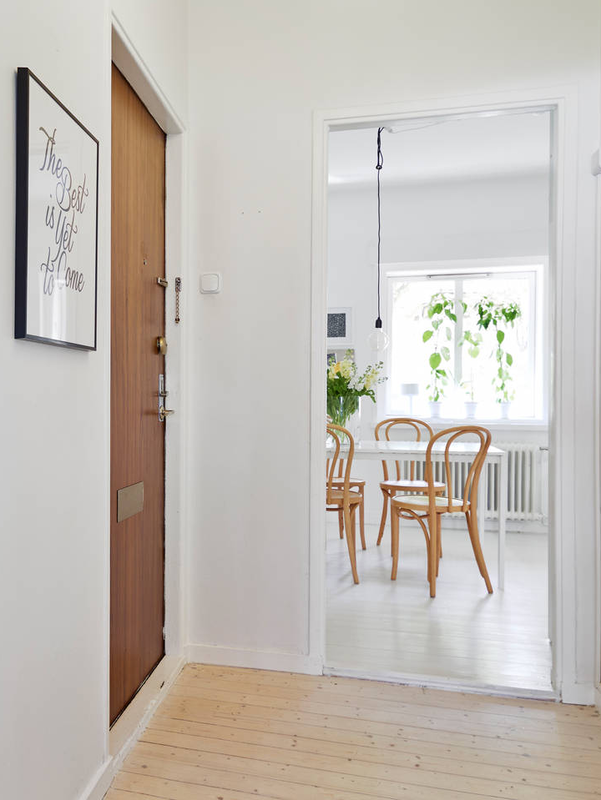 Today let’s look at one very simple corner. 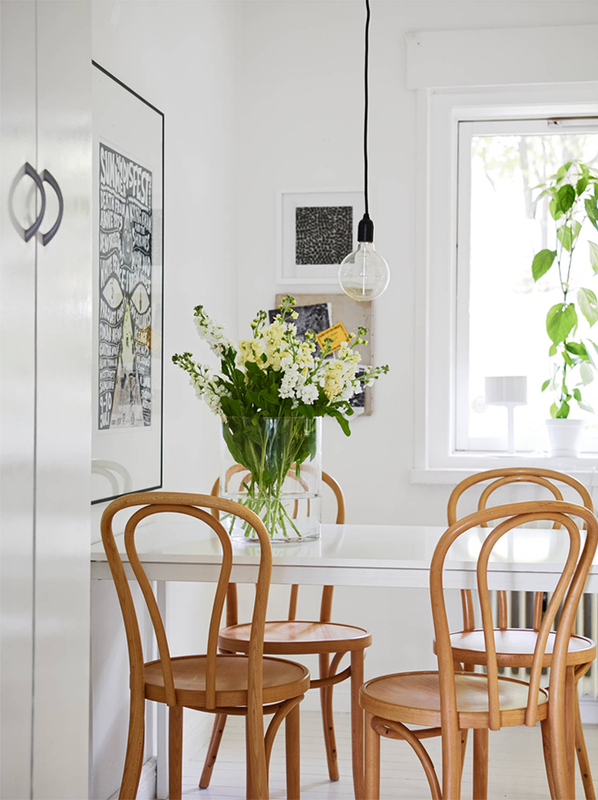 The dining room of this Swedish apartment is a nice combination of white and wooden chairs and a few tiny black detail. But everything here is so beautiful and simple and is worth the attention. 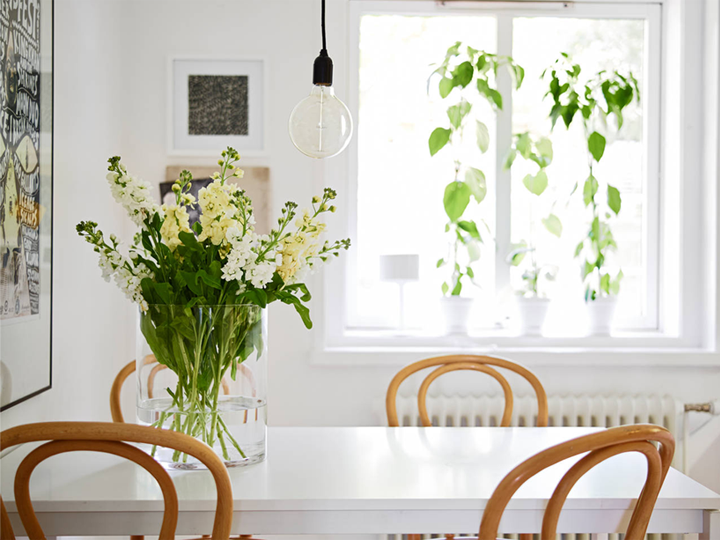 Sometimes it is not necessary to use many accessories and details to create coziness – try to put the accent on the fresh flowers surrounded by white and simplicity.